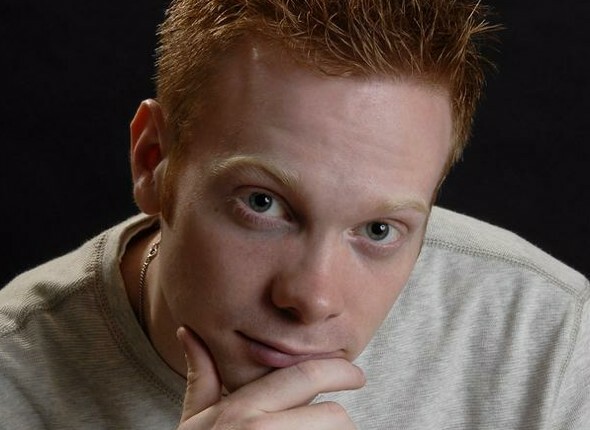 Nathan Macintosh is one of the only east coast comedians at this year's Montreal Just for Laughs festival. He doesn't live in Halifax anymore, having been lured away by big city riches and fame (forthcoming, he hopes), but this maritimer still has enough of the nice guy stereotype in him to speak with another Atlantic Canadian (and the entire internet) about his shows on July 23rd and 28th at the fest. Macintosh isn't new to Just for Laughs, and he isn't new to the Hyatt bar - the all-night, every night party of comedians and industry types at the Hyatt hotel. Nathan Macintosh: "Two years ago I was ten feet away from Dane Cook, Tom Green and then the sham wow guy," says Macintosh. "The Sham Wow guy had a lineup of people getting his picture and autograph. He didn't have one sham wow! He didn't even have a sham wow t-shirt. You just knew it was him." You didn't have a line of people? NM: I did not have a line of people, but neither did Tom Green or Dane Cook, so I didn't feel awful. Apparently you should just sell more easy cleaning products and you'll be very popular. That's the whole thing. I'm thinking this year that I won't even do comedy. I'll just bring the inventions I have. I'll bring fan shoes - shoes that have a fan in them. They keep your feet cold. Now that that's settled, what do you like about MTL? What's the attraction besides the festival? It's just fun that everything's open late, you can drink with 18 year olds. That's a good time for you? It's just funny to see people getting drunk because people when they drink at 18 are really just trying to kill themselves. You just see a lot of young human beings completely loaded. Montreal's a gorgeous city as well. I don't know why, but I do very much enjoy the city. Do you have a Canadian comedy role model? One of my favourite Canadian comedians is Tim Steeves. He's from Sussex, NB. He writes for the Rick Mercer report. He's been around for awhile. He's very east coast. You know how east coast people kind of like...rant? And get very animated? He's that on shows. And the first time I saw him I was like, "Man I've seen this guy a million times in bars in Halifax. I really like that." ...I like old and new stuff. I think he's doing a new special soon that I want to see. I live in New York now and he's one of the only people I have not seen, but pretty much every night for about a month everyone that I ran into was like, "Did you see him? Chris Rock was just at a show last night," and I was really upset. You're going to be a maritimer in a big sea of Americans. Do you like the fact that there are so many American at the festival? Jokes are often about American politics and they're not necessary relevant to Canadaian audiences, though much of the audience is often American at the festival. Yeah it's funny any time when Americans talk about America and Candadians listen because we know what's going on in America. Down here in New York I can't mention anything about Canada. I can barely say I'm from Canada without people laughing. I can't be like, "Guys, Harper's doing some crazy stuff, huh?" People will not at all know what's going on. But I like being a maritimer in the festival for sure because there are a lot of people from Nova Scotia doing really well, but there's not a lot of those people who'll be at the festival. When I'm in Canada, Candian comedians like to say that the festival is full of Americans. Down here people say there are a lot of Canadians in it. I'm not the only east coaster am I? Well if I am the only one I'll just wear a Nova Scotia flag the entire week. And hold a beer the entire time and rant a lot. Just ranting and drinking. I was in Halifax doing the comedy tour and when I got home I told my roommate, "Dude, I forget about it all the time, but one of my favourite things to do is drink and yell." I don't really drink anymore, but it's one of my favourite things to do - hold a drink in a bar and yell. You've probably spent a lot of evenings doing that. Where do you travel next? I'm going to be going to South Africa in October to do two weeks of shows there. I'll probably get burned. And I'm also worried about giant spiders. What's your best comedy memory? I taped a comedy special for the comedy network a couple of years ago. I had to do 40 minutes in front of people for TV and right before I went on, it was a kind of crazy feeling to think that I'd come from Halifax and was now doing this. So I kind of just was like, "Alright guys, give me a second," and I drank some water and there were ten people staring at me, waiting for me to finish and to go out. It's kind of a nice feeling to know that I'm going to do this special and they've got to wait for me to finish this water. Did you have a "you've made it" moment? No I don't know if I've had that one yet. I'm actually doing the thing that I used to do with a drink in a bar. And I'm not going to lose $90 drinking rum and coke and maybe fall in the street, maybe make it home. But I'd like more money. Is that a thing of making it? Being able to buy things? When does it come, Amie? I think we need to figure that out. I think that there's a date. Say, July 2018. At least we'll know. Six years from now we'll be able to go into restaurants and get dessert. Speaking of food, what do you love about poutine? I think living on poutine would be good if you didn't have to do anything early in the morning. I tried to get poutine here before, but it can't happen, not in NY. I think you can find it in certain places but it's not a regular thing. I've heard people do jokes about it actually: "I was just in Canada and I had this thing called poutine," and then they'll explain what it is, and the audience laughs. And I'm like, "Guys, you guys have sandwiches and the bread is donuts!" What influences your comedy the most? Reading. A lot of harlequin romance novels. I get a lot of material from those. Do you know what happens a lot? I'll be with somebody and something will happen that sets me off and I'll go off about it for 20 minutes. And the person with me will probably tell me to shut up and stop talking about it but I will continue until I feel I've said everything I can about said topic. I kept my girlfriend up for hours the other night about how I'm very upset about how there are trailers for the new Dark Night Rises movie. Because I don't want to see any of them and if you need a trailer to see that movie I don't think you should be allowed to see the movie. We've known it's been coming out for years. So twenty minutes on Dark Knight Rises trailers. I don't know a lot of people who would take the time to do that, but me personally - twenty minutes. If your comedy was a historical figure who would it be? Sir Wilfred Laurier for the serious side of figuring out jokes and Rick James for the fun side of telling jokes. I actually did a project on him in high school. He spent $400,000 a year on coke and he slept with four to five thousand women. Is that possible? The women, not the coke. 4000's possible. You're not close? You're falling behind. I asked several people yesterday. Everyone's at like 1500, that seems to be the average. I'm making a CV this year that's going to be called, "Too much to say." I used to get told that in school by guidance counselors and teachers that I have too much to say. You're finding out now that I have too much to say. I haven't even answered one question! Thanks for listening to me ranble for so long. Please put in the article, that you said two words and I talked for 40 minutes. Check out Nathan Macintosh at the Montreal Just for Laughs festival on Monday, July 23rd as part of the Talk of the Fest hosted by Jeremy Hotz. 10pm at Club Soda. Or check him out on the taping of the Debaters on July 28th at 2pm at l'Astral. He's also ranting from time to time on twitter, and his website will keep you up to date on his shows. Are you running an industrial or commercial building in Manchester. friendly procedures and goods that can assist increase your company's "green" qualifications. after all the work has been done in the offices. about my trouble. You aree incredible! Thanks! become part of the casual clothes that most women and girls are fond of. a difference of feelings and emotions.